After debuting the mid in last season's playoffs, Stephen Curry is starting this season in new PE colorways of the higher-cut Under Armour ClutchFit Highlight Drive. 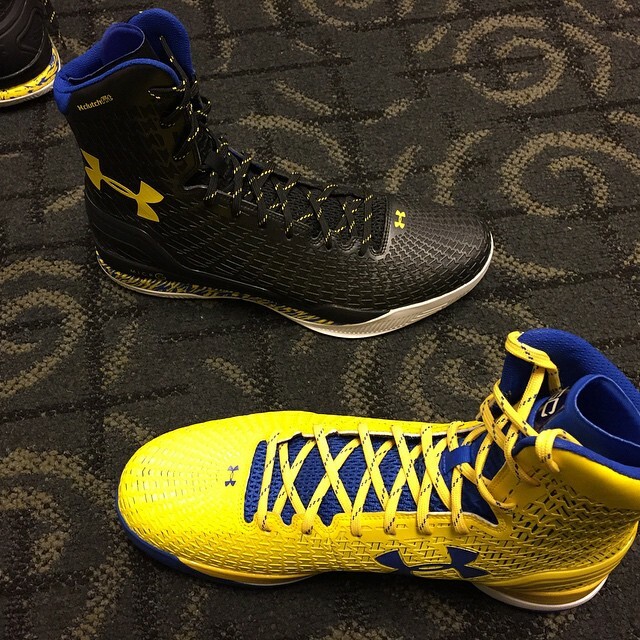 Last night, Curry gave us a look at two of his options, each sporting a Warriors-themed colorway. The shoe adopts the boot-like cut often used on cleats from UA's football and baseball categories. Are you a fan of the ClutchFit Highlight Drive? Should Under Armour release this version?